What happened to orengos hand? 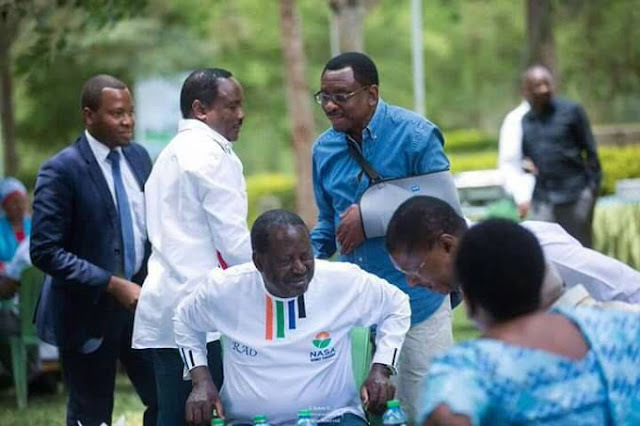 Kenyans on social media were quick to see the sling or bandage on orengo hand as he joined NASA leaders in machakos for peoples assembly forum. What people are wondering is what really happened to senator orengo hand. Most people thought he fell from a motorbike from comments in social media. Others joked that NASA principals fought him after he tricked them in boycotting October 26 poll, a move which is seen to have killed Raila odinga political career. Orengo's brother Thomas Orengo stated that the senior counsel could be wearing the sling following his recent treatment in India. 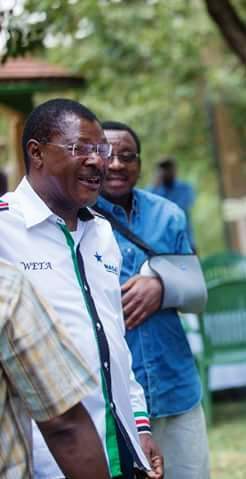 Orengo is said to have left Kenya recently for treatment in India and that I'd the reason he is wearing the sling as he recovers.